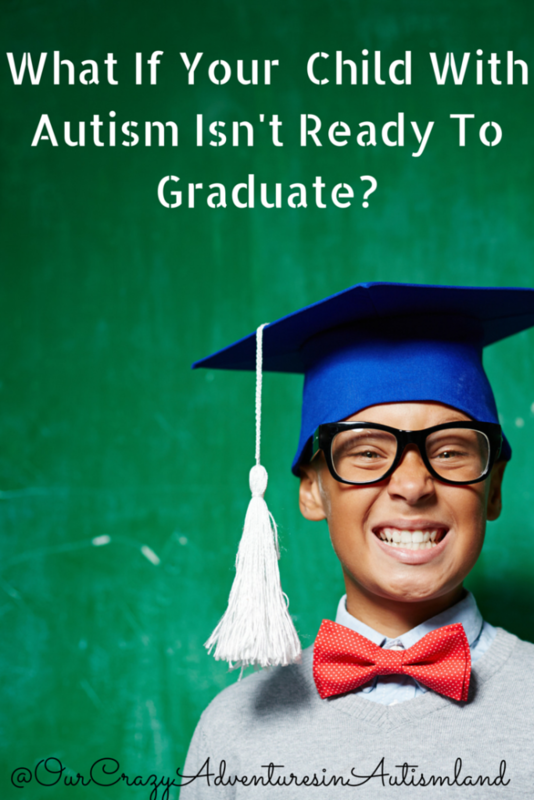 What If Your Child With Autism Isn't Ready To Graduate? What If Your Child With Autism Isn’t Ready To Graduate? What if your child isn’t ready to graduate? What are your options? What does it mean in the grand scheme of things? What do you tell all those well meaning relatives when they ask? These are serious questions many parents have to ask themselves when it comes to their child with autism. At this point you know their developmental age and are working at that level. This is what brought the not ready to graduate problem to your attention. After taking a deep breath, pour yourself a drink. We have to remember at all times that it all boils down to what’s best for the child. Put your blinders on for anything else. You have some options. Children with special needs are allowed to go to public school until the age of 21. This would be no different. You just keep homeschooling at their level. 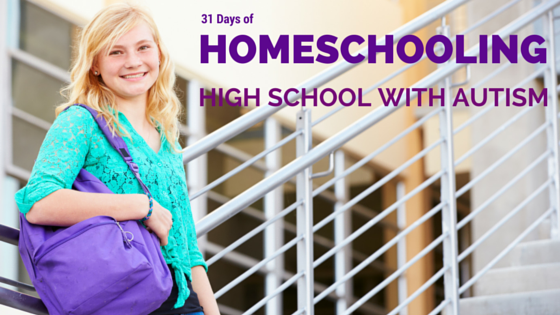 Tammy Glazer has continued to homeschool her adult daughter flawlessly. Her daughter, now age 25 , is severe with some other conditions. No one says you have to stop working just because they are now 18. You could possibly still do graduation with this one depending on where you live. In Florida , there are no requirements for home school diplomas. The requirements come when college is involved. If your child is able then work towards an apprenticeship somewhere or a job training program. This sounds super mean but it’s not my intent. Some kids aren’t going to graduate no matter what you do. Perhaps working on life skills is a better use of your time. Maybe putting supports in place to help the child live semi independently. Maybe that will never happen either. Perhaps putting a life plan in place for where they will live as adults is your best option. You know your family situation better than anyone. Do what’s right for your family and rest in the knowledge that you did your best. Graduate at a later date. Who says you can’t celebrate graduation later? Why would it be less of a celebration because the child is older than the usual graduation age? You can always have the child take the GED test if you want him to have an actual diploma. I say celebrate even if he’s 50 when he finishes. Even slow progress is still progress. How do I handle people who ask? In this instance, you will get people , family and others , who will ask the inevitable question. Is he going to graduate? When is graduation? It’s best to practice your response before it comes up. The answer varies based on whether the child with autism is there or not. I would never say “No, he’s not ready yet” in front of him. I would simply say something along the lines of “God has a plan for everyone including Logan. ” Don’t give a long explanation . Keep your head high. Again , slow progress is still progress. He will get there at his own pace. Even slow progress is progress. Hang in there mama.